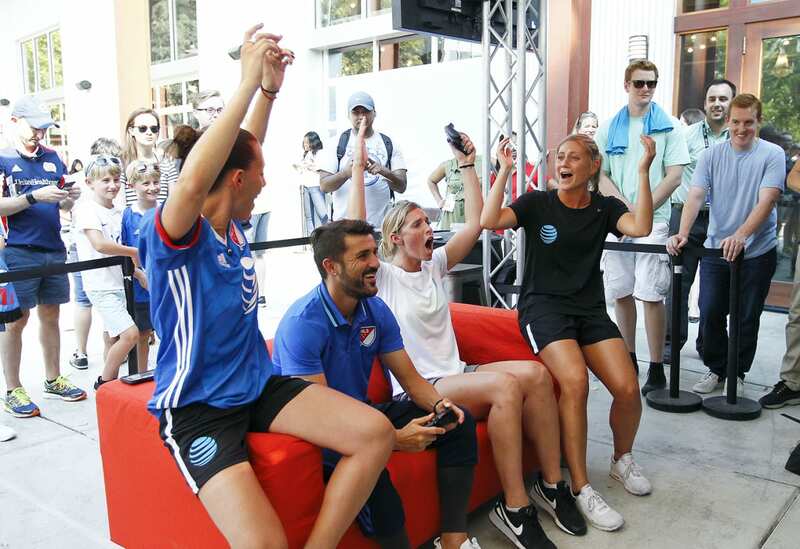 Gamified voting experiences, a free outdoor concert and a strong influencer strategy helped AT&T score with soccer fans before, during and after the Major League Soccer (MLS) All-Star Game in San Jose, CA, on July 28. As an MLS partner and presenting sponsor of the All-Star Game, AT&T knew its presence had to be bold and authentic, prompting the brand to create a weeklong build up to the main event. 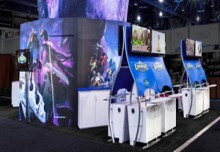 Even before All-Star week began, consumers were given the opportunity to play a role in the big game through a unique voting experience powered by EA Sports. By scoring goals with their favorite players in the FIFA 16 video game, the More Than A Vote Challenge gave fans a say in who would make the All-Star Game roster, with one goal equaling one vote. The highest scorers not only earned bragging rights, but were swept away to California where they received VIP treatment leading up to and including the All-Star Game. In San Jose, AT&T’s efforts were driven around its annual All-Star Game concert sponsorship. Performances by Mexican pop band Belanova and headliner Flo Rida kicked off the week’s festivities with a bang. Additional on-site engagements included artist meet-and-greets and a live stream of the show to accommodate virtual fans. Fans could also participate in interactive engagements around the city throughout the week. The AT&T Gaming Zone at the MLS Digital HQ aligned with the More Than A Vote Challenge, allowing attendees to play FIFA 16 on-site. MLS players including David Villa, Cyle Larin and Wil Trapp also stopped by the footprint for meet-and-greets, autograph signings, photo ops and even a little FIFA action. For the MLS Soccer Celebration held on game day, AT&T offered a Speed Kick challenge featuring the adidas Smart Ball. 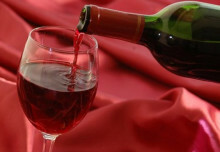 The brand clocked the fastest goals and rewarded top competitors with exclusive prizes. Additional surprise and delight elements were activated by tapping into AT&T’s social listening strategy, which is leveraged throughout the soccer season. 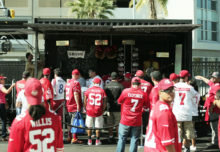 All-Star fans whose social media content piqued the brand’s interest were rewarded with merchandise, signed soccer memorabilia and meet-and-greet passes. Social media influencers also played a significant role in AT&T’s event strategy. Instagram star airjapes and Twitter personality @Castro1021 used their strong soccer fan followings to promote the More Than A Vote challenge leading up to All-Star week. @Castro1021 further supported the brand’s program at the AT&T Gaming Zone, where he live-streamed himself playing FIFA 16 for several hours. Seven-month brand endorsement deals with female soccer influencers Indi Cowie and Soccer Grl Problems, who were both on-site throughout the week, also helped bolster AT&T’s All-Star campaign. In addition to filming content with various MLS players, the women hosted a pickup soccer match in downtown San Jose. A short video of the impromptu contest was shown at halftime during the All-Star Game. “We try to stay on the cutting edge of knowing what’s important to our fans,” says Andrea Jones, associate director-sponsorships at AT&T. “Being that we’re in an industry that’s ever-changing, I think that it’s imperative for us to give people the opportunity to interact with our brand and to do it in a way that’s authentic to their individual passions…We don’t want to just walk in and put globes on everything; we really want it to be an authentic, genuine connection between the brand and the consumer.” Agency: Team Epic, Westport, CT. 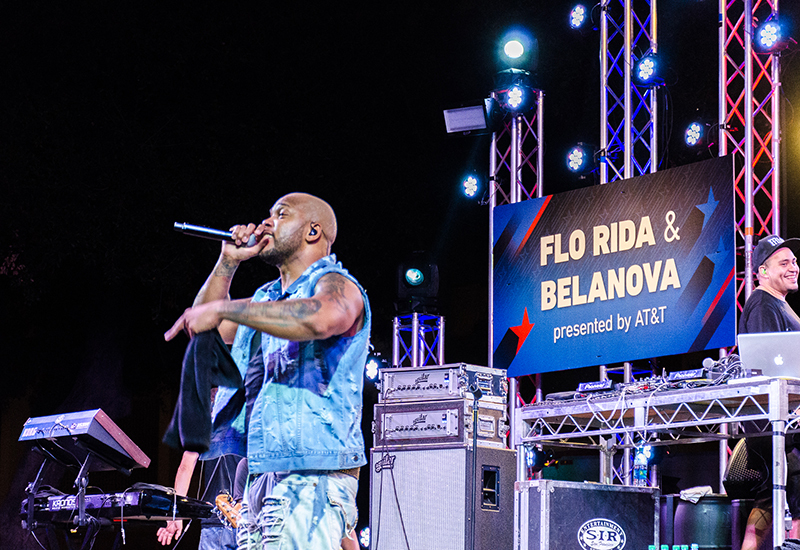 Performances by Mexican pop band Belanova and headliner Flo Rida kicked off the All-Star week festivities with a bang.